Running this will restart vectorworks, and a new palette will be created in the active workspace along with sub-menu under Tools/Third-party. The Dialog Builder still supports the legacy (number based) resources. The options have been moved to the 'Layer Vis Props' page of the Layout Settings dialog. They are defaulted to zero, which will make the Dialog Builder use the VWR resource root. 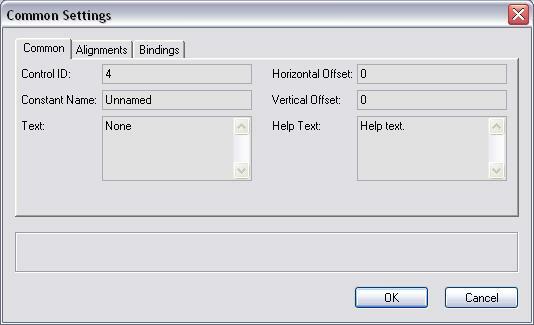 When importing older dialogs, these values will be non-zero and the Dialog Builder will export indexed resources. In any case, old indexed resources or new, VWR resource root must be specified. When exporting the resource, you will be prompted for a location for the output. 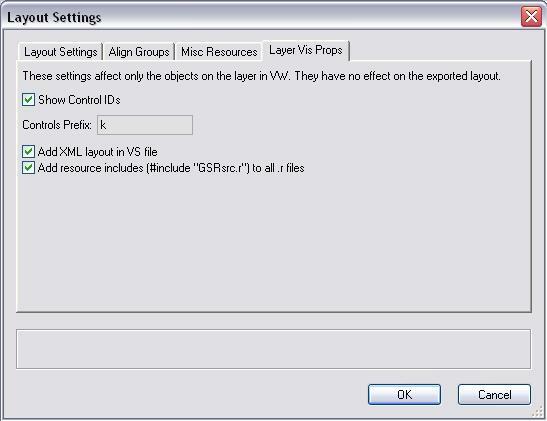 Select the VWR root folder as the Dialog Builder will export the appropriate sources within the 'DialogLayout' and 'Strings' sub-folders. Dialog Builder is a set of tools and menu commands that allows you to visually design VectorWorks Layout Dialogs using VectorWorks itself. This version of the dialog builder is direct inheritance of Charles Chandler's 'Dialog Builder 5' with the same concept behind. 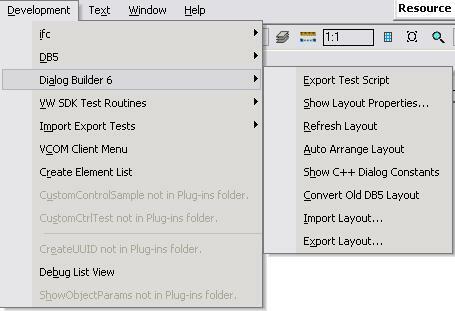 Download and extract the Dialog Builder files and place them in your Plug-Ins folder. Download and extract the Dialog Builder Workspace and place the file in your Workspaces folder. 'Convert Old DB5 Layout' -- Converts a loaded DB5 layout in the current layer into the new DB6 controls. Note that connections are not currently maintained. 'Export Layout...' -- Exports the current Dialog Layout into XML file. The first tab allows you to set name and title for the dialog. The name is used as variable name for the dialog inside the code. 'Strings Table ID Start' allows you to specify ID for the STR# table that will contain the strings for this dialog for a SDK plug-in. This value is also the TEXT resource for the '.vs' file for the SDK plug-in. 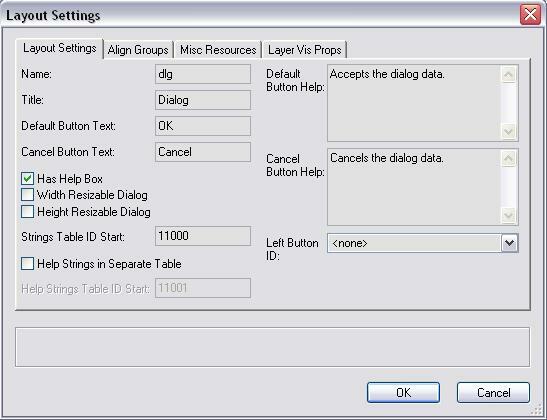 'Help Strings in Separate Table' allows you to specify that help strings for the dialog should go to separate table. If not selected they go in the same table as the texts for the controls. 'Left Button ID' allows you specify which control should be used as 'Left Control' for the dialog. Left controls appear on the left-bottom-most corner of the dialog in the line with 'OK' and 'Cancel' buttons. They get automatically moved with the bottom edge of the dialog when it is resized. 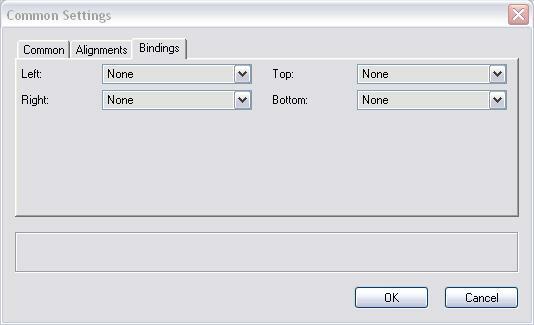 Note: The control that is set to be 'left control' should be attached to the other controls hierarchy (using right or bottom handles) in the dialog. This tab is informative. It shows what align groups are used in this layout. This will help you orient with the groups in really big layouts. 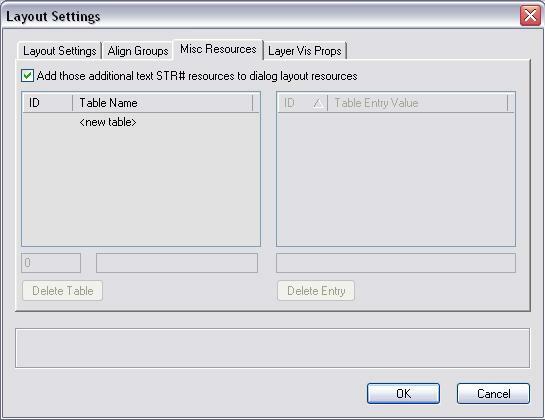 This tab allows you to specify additional STR# resources for this dialog. This is for strings that are inseparable part of the dialog and used nowhere else. The exporting routines automatically puts definitions for these strings, so they are easy to use within the dialog handler code. The check box controls if those additional resource strings should be added in separate STR# tables, or should be added at the end of the main resource table for the control's texts. This is settings page and has nothing to do with the exported layout. It is used to set up the way the layout is presented on the VectorWorks layer. 'Control Prefix' is the prefix that is used for the control variable names. 'Add XML layout in VS file' -- when checked, when exporting the VS file it includes VectorScript comment at the end of the VS file which contains the XML representation of the current dialog layout. This way this VS file could be used to import back the dialog layout using the 'Import Layout...' menu command. The Dialog layout controls are presented on VectorWorks layer with a plug-in object 'Dialog Builder Control' This object is used for all types of layout control which are specified by the 'Type' parameter. The control have two handles: on right and on bottom. These handles are used to describe the relations between the controls. When you put new control it's handles are on the right and on the bottom side of it's bounding box. To attach it's right neighbor, you should grab the handle with the mouse, move it over the other (within it's bounding box) control and place the handle there with single click. Note: You should have all your controls in the layout arranged using the handles. If one control, or a bunch of controls are not related to others, they wont be visible in the exported dialog (they wont be exported) Also note that the upper left most control is the first one for the dialog. Most of the parameters are common to all types controls. However the last parameter change visibility from one type to another, allowing you fast edit parameters for comonly used controls. For example the 'Static Text' control have 'size to text' but others don't. The 'List Box' have height parameter but other may not have this. With paramters you are allowed to set only one Align Group of this control. Zero group ID means that this control doesnt belong to a group. This pane allows you to specify common settings for the control. These settings are present as parameters, but here you have bigger edit controls so you could more easily enter long strings. 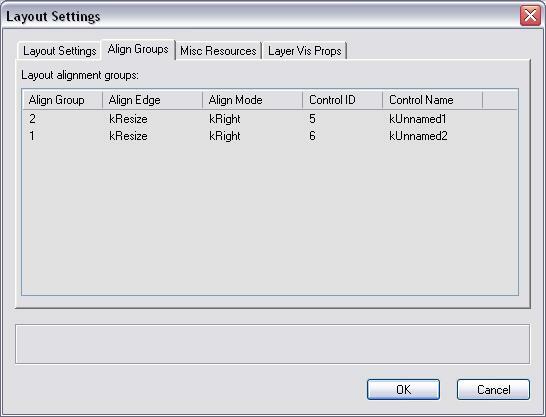 This pane allows you to specify more than one alignmed group for this control. 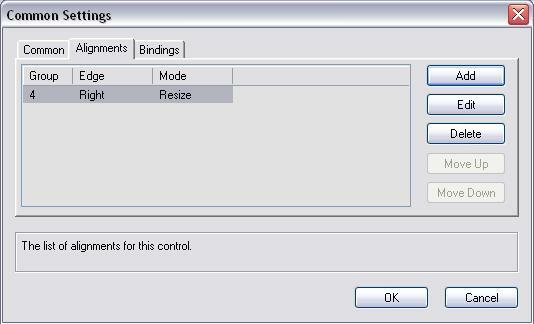 In this pane you specify binding for this control if it is a part of resizable layout. Running the exported test file. This tool allows you to export the current layout as different files for different purposes. Export the layout to XML file. Export .vs and .r files for the layout defintion for SDK plug-in. This tool asks you to enter name for the .vs file, and this name will be used for the .r file too. Both files will be written in the chosen location. The .vs file contains the vector script functino that creates the dialog and the .r file contains the resource strings for this dialog. Also the .r file contains 'read' as 'TEXT' for the .vs file, so all you need is to '#include' the .r file in your PluginResources.r file. Export class that handles this dialog. This class inherits VWDialog from the new VWUI.lib from the SDK. This page was last modified on 13 September 2018, at 12:27. This page has been accessed 25,865 times.